Dr. Adams: Good morning children and welcome to the plane-arium. We're going on a fascinating ride through the universe. So I want you to lean back in your chairs and get comfortable. Dr. Adams: And now I'm going to dim the lights, and let the stars....come out. 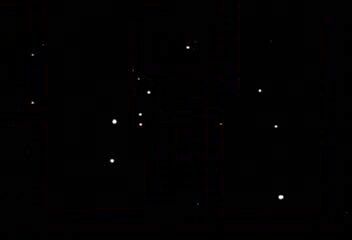 Dr. Adams: Here we see the constellation called the Big Dipper. 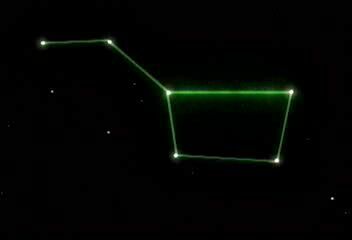 If I project the drawing of a big dipper on top of it, we see where the constellation gets its name. 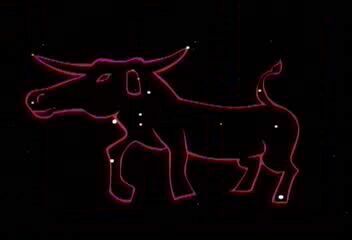 Dr. Adams: These stars over here form the constellation of Taurus, the bull. 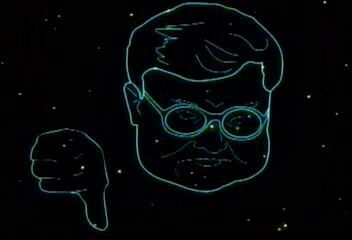 Dr. Adams: While these stars form the constellation Roger Ebert. 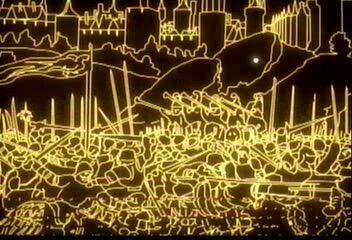 Dr.Adams: And these two little stars over here form the constellation, the Crusades. The reason some constellations don't look anything like what they are named is because some constellations have more to do with what time of year it is when they become prominent and what that time of year originally reminded people of. 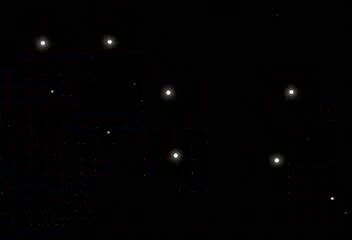 For example, the constellation Aquarius, the Water Bearer, is the constellation that becomes prominent during the rainy season. 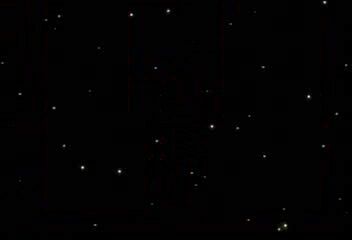 The stars doen't look anything like a guy pouring a pitcher of water. Connecting the stars to try and make an image of a guy pouring a pitcher of water is futile. 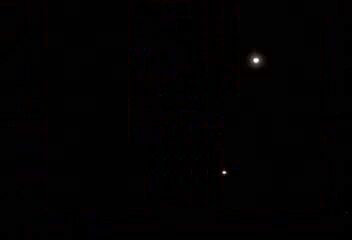 But every year when those stars are just above the horizon at sunset it always rains because it's that time of year. Hence people began identifying that set of stars with rain, and eventually personified those stars as a guy pouring a pitcher of water.